Welcome to A New Beginning Therapies, your leading Counselling & Therapy service with therapists in Hull, Anlaby & Hedon. We offer a free, same day free, no obligation consultation over the phone. It is easy to book just click here. We specialise in all therapy & counselling including anxiety, anger, marriage & relationships, depression and confidence. With our help you will feel empowered and start on the path to live a positive & fulfilled life. It's FREE with no obligations! We have therapists close to you in Hull City Centre, Anlaby & Hedon. There are available appointments during the day, evening or weekend to fit in with your schedule. To book a free, same day, no obligation consultation just fill in a request form here, or call us on 01482 750405. The kettle is on and the cushions are plumped. We look forward to meeting you soon. Combat your negative thinking and unhelpful behaviours that feed your anxiety and become calmer, peaceful and fulfilled. Enjoy a calmer you. Stop arguing, start communicating. Build trust, build bridges, heal the rift and bring your relationship back to the better times. Combat your destructive, negative, irritable, aggressive behaviour. Manage your emotions to keep your family, your job & your sanity. Feel empowered. Take control of your emotions and banish negative critical thoughts and start feeling positive, motivated & confident again. Be a non-smoker for good with our successful 2 Session Stop Smoking Therapy programme. Enjoy improved health. No willpower necessary. Banish the over-eating, snacking & comfort eating for good. 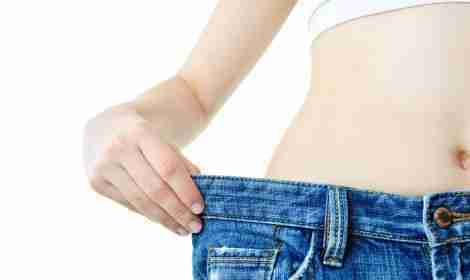 Our exclusive Hypno-Slim weight loss programme will have you feeling fantastic & super slim. We are a highly recommended team of professional, qualified and experienced therapists . A personal, safe, private and confidential face to face therapy service, we support you through any problems you bring to the sessions, no matter how big or small. Our therapy and counselling services are suitable for all forms of emotional issues, for women, men, couples and children of all ages. We are a multi-site service across Yorkshire & Lincolnshire so we are always located in your local area. Our vision is to be known as the leading professional therapy services providing a professional and effective therapy service. We proud to be here for you and to help you work through things that are causing you pain and holding you back.